Ladbrokes Tip: The Australia Stakes has provided a number of CF Orr Stakes winners in recent years. The Australia Stakes is the first Group 2 race of the New Year run in late January each summer season at Moonee Valley Racecourse. The sole Group race on Australia Stakes Day, the weight-for-age clash offers $200,000 in total prize money and is contested over a 1200m sprint distance. The Australia Stakes provides a nice early Melbourne Autumn Racing Carnival lead-up for gallopers heading into a race like the Group 1 Ladbrokes CF Orr Stakes (1400m). The last horse to complete the Australia Stakes – CF Orr Stakes double in a single season was Black Caviar (2012), while more recently Black Heart Bart (2017) improved on a lead-up second in the Australia Stakes to win the CF Orr Stakes – Futurity Stakes double. The latest edition of the Australia Stakes ran on Friday January 25, 2019 under the lights at The Valley. The official Australia Stakes 2019 and Finishing Order will be available below once the race is run and won on Friday January 25, 2019. Australia Stakes betting opens the Wednesday before the race after the field and barriers are out. Horses that are resuming and have a good first-up record, proven performers at the tight Moonee Valley circuit and sprinters with a strong record over the distance sit high up the Australia Stakes odds each January. Upsets are not uncommon however and the last winner to jump at double-figures in the Australia Stakes betting markets was Mourinho ($41 in 2015). The market for the Australia Stakes 2019 complete with the latest odds on the sprinters in the mix for the autumn Group 2 sprint race will be published below once released. 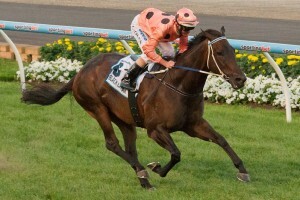 One of the world’s best mares Black Caviar won the Australia Stakes in 2010 and 2012. Photo: Race Horse Photos Australia. The Australia Stakes field features a strong line-up of sprinters and middle-distance gallopers either rounding out their summer preps or gearing up for some of the early autumn features in Melbourne. Many of the horses in the Australia Stakes field are running first-up for the season and may have contested a race like the Group 3 Red Anchor Stakes (1200m) at the same track the October before on Cox Plate Day, a double last achieved by Holler (2015). A more recent lead-up to the Australia Stakes field run on New Year’s Day at Flemington is the Group 3 Standish Handicap (1200m) and in 2015 Churchill Dancer ran third in the Standish and second in the Australia Stakes. Australia Stakes nominations close the Monday of race week followed by the final field and barrier draw released on the Wednesday before the race runs that Saturday. The Australia Stakes 2019 field and barrier draw will be published below as soon as released on January 23, 2019 so bookmark this page to see what Group 1 bound autumn stars make the starting line-up. The official Australia Stakes 2019 Nominations are taken the Monday of race week and the full list of early entries for the Friday night sprint at The Valley will be provided below. Top Australia Stakes tips include looking for proven Moonee Valley performers, past winners over the distance, good Group 1 performers in similar company, horses that have run in Group 1 company and those that finished in the money last time out whether it was the season before or in an earlier summer start. Favourites have a solid recent record in the race so sticking with the better fancied runners in betting is also a good Australia Stakes betting tip. Stay tuned for our insider Australia Stakes 2019 tips to be published close to the race date. The Australia Stakes form guide details for punters all the must know information like the jockeys, trainers, barriers and lead-up runs of the horses in the field. In recent years the Australia Stakes form has held up in tougher autumn races during the Melbourne Festival of Racing like the Group 1 Newmarket Handicap (1200m) at Flemington in March which the 2016 Australia Stakes runner-up Churchill Dancer ran fourth in next start. The previous year upset Australia Stakes winner Mourinho (2015) ran third to Dissident in that year’s Group 1 CF Orr Stakes (1400m) at Caulfield the next month. The CF Orr winner Dissident (2015) came off a third in the Australia Stakes and went on to run third in the Group 1 Futurity Stakes (1400m) and win the Group 1 All aged Stakes (1400m) in Sydney over the autumn. The 2014 Australia Stakes runner-up Moment Of Change went on to complete the CF Orr – Futurity Stakes double at his two next runs. A link to our comprehensive Australia Stakes 2019 Form Guide will be available below the week of the race. The Australia Stakes results have been dominated by single-figure fancies in the past decade and runners that go on to win in Group 1 company during the Melbourne Autumn Racing Carnival. Notable recent Australia Stakes winners include Mourinho (2015), Black Caviar (2012 and 2010), El Segundo (2007) and Super Elegant (2005).